The list below offers a cross-section of UX & UI tools and resources that you will find very useful. Most tools feature rapid prototyping capabilities together with real-time sharing and team collaboration. Are you looking for the latest UI resources? Browse this listing to see what may be of use to you, and keep in touch with the latest developments in the UX and UI industry. Proto.io has a number of outstanding features, including the most realistic material design prototype-ready UI library on the market today. With this tool you can show your audience prototypes that have the look and feel of a real app. The latest version is packed with a number of fresh or improved features, including 49 new fully interactive UI elements that support drop shadows, ripple effects, and much more. Continuous click or drag sliders, as well as discrete sliders, have been incorporated into the design, as have animated morphing features and an upgraded color picker. Adaptive UI elements enable you to create different versions for distinct devices and for any screen size. A new top feature is their offline mode which allows your prototype to be downloaded to your device and to be used anywhere and at any time, without having to worry about internet availability. Coding is not necessary, making this tool a genuine time and labor saver. 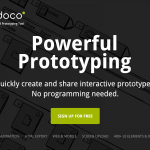 Pidoco is an especially powerful prototyping tool that can be used to create wireframes, mockups, and prototypes for a number of applications, including mobile applications. Pidoco features smart and real time editing features similar to those found in Google Docs, a template system, spec generator, and more. With Pidoco, it is possible to create prototypes that have the look and feel of what the application under development will really look like. Configurable reactions to your prototype can be triggered by clicks, keyboard, or touch. This tool enables you to collaborate with others by sharing information and through its editing, collecting comments, versioning and issue tracking capabilities. Prototypes can be run on mobile devices with a click of a button, bypassing the need for downloading or generating code. This Vonn material design UI Kit can be a genuine time saver because of its compatibility with Google’s material design guidelines with respect to style, components, and layout. 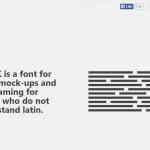 This kit features 100 1920 x 1080 pixel UI templates organized into 8 categories. Each template has drag and drop functionality. PSD files can be opened using Photoshop CS5+. Using the drag and drop features of this UI kit make building mobile Android apps as easy as it gets, and the other features incorporated into the kit provide all that is needed to produce some particularly stunning Android apps. This UI kit is especially useful for the Android app designer who is not quite sure how to get started. Vonn will give you the inspiration and the resources you need to create your own original app. 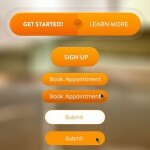 AppCooker is an advanced prototyping tool that can be used from your iPad. Its principal benefit lies in its ability to streamline the workflow of an App development process to the extent that the time taken from start to finish can be remarkably reduced. Spend less time programming and save money by sharing great apps prototypes first! AppCooker is an ideal tool to test an app idea by designing pixel perfect user interfaces in no time. With AppCooker, it is possible to create prototype designs for all Apple mobile devices. Firefly is a design management tool that allows its users to upload graphics, website mockups, app designs, and even website pages for the purpose of collaborating and sharing visuals with others. 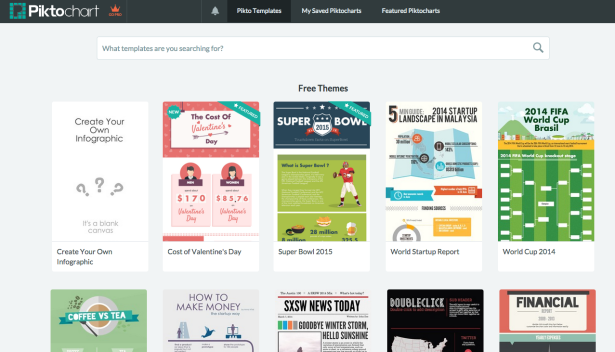 Using Firefly makes design projects easier to organize and manage. Comments can be added to designs and shared. Furthermore, ideas, issues, and issue resolutions can be shared among collaborators as well. With Firefly, new design versions can be uploaded as changes are being incorporated. Finally, information that is being managed while using Firefly can be accessed through a browser anywhere in the world, making it a highly useful tool for a distributed team. InVision is advertised as being the most powerful prototyping platform in the world. Regardless, this prototyping platform is a delight to use. It covers a design-driven product development program from start to finish. 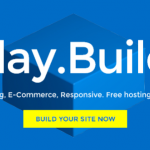 Everything the designer and developer needs are all in one place. 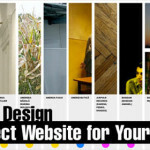 Its ability to share information with design and development collaborators is outstanding. InVision is more than a prototyping tool, however. It serves as a project management tool as well, having the ability to review, test, and track progress and changes during a product’s design. Prototyping, task management, and version control; all in one package. Infragistics is a developer toolkit that enables you to build an application quickly by taking advantage of rapid prototyping. Charts containing thousands of data points can be created and displayed on Android platforms. Interactive data charts are easy to build for use on Windows 8, Windows Phone, and Windows Forms. UI controls, including Silverlight and jQuery allow you to deliver HTML applications across all browsers. Infragistics eliminates the need for coding when developing or revising your prototypes, saving valuable time in the process. This mobile UI kit is well organized and ready to use for building iOS 8 mobile apps. 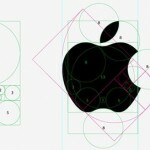 It features 75 PSD templates, organized into 8 different categories, with 300 UI elements and over 100 diferent icons. Another notable feature of the Ace iOS 8 Mobile UI kit is the inclusion of Noto fonts, the Google family of fonts that cover most of the major languages in the world. Designing an iPhone mobile app has never been easier. FileSquare enables you to impress your clients with your ability to rapidly click through mockups and collect and store real-time feedback on your design efforts. Its drag and drop feature enables you to drag a screen into the editor’s window for uploading, or to drag on top of an existing screen to replace it. Sketches, wireframes, and complete designs can be linked together, and summaries of design progress are instantly accessible. You can collaborate with anyone at any time, and check your team’s progress at any specific time. iRise enables you to design and deliver better software faster than ever. Its Collaboration Visualization Framework keeps team members in touch with one another so that changes can be reviewed, tracked, and feedback provided during the rapid prototyping process. Collaboration can be done on a global basis in support of the agile development approach this tool supports. Teams can work together in a secure environment, sharing and refining designs without needing to resort to code. The MockFlow toolkit provides an ideal platform on which an application developer can plan, build, and share work. An app planner assists in planning and organizing a project, and UI concepts can developed with the WireframePro feature. MockFlow enables you to quickly create and publish website pages, create animated banners, and design PDF brochures. You can collaborate and review design efforts with team members, and share comments, ideas, and changes. WireframePro, the flagship software package, is used by thousands of designers worldwide. PowerMockup is an extremely cost effective tool that can be used in conjunction with Microsoft PowerPoint to create wireframes and UIs when developing desktop and mobile apps, as well as websites, using a prototyping approach. 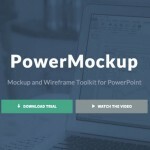 PowerMockup is often looked upon as a presentation tool, but it brings much more to the table. The tool adds a stencil library to PowerPoint to enable the latter to build mockups without the use of expensive graphics and design tools. Notism enables you to share design information with others. You can share notes and sketches communicated in video timelines, and review and sign off content where it makes the most sense to do so. This tool enables you to turn static screens into interactive prototypes without the need for any coding whatsoever. Design versions can be uploaded, controlled, and easily switched back and forth enabling feedback in real time. The Antetype tool was the first tool built by UI designers for UI designers. It is a genuine time saver for several reasons, and does everything from creating website pages to mobile apps. It is at its best when used in long-running projects as it maintains a large library of widgets that can be used time and again. Antetype can take a loose idea, any quickly refine it into a highly-polished prototype. 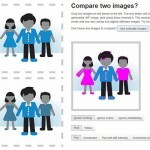 Antetype is a cost-effective alternative to photo editing apps. With AppSketcher, you can build prototypes similar to how you build PowerPoint slides. You just drag and drop, and leave time-consuming coding to the designer who does not use a prototyping tool similar to this. You can stick with a wireframe scheme, or spice it up. Most of the common CSS styles are supported, and the prototypes you design can run on any browser. You can embed with Google Maps, a YouTube video as easy as if you were working with a text field.